With the announcement of The Company at Gamescom, the one thing I felt that Battlefield was missing has now been added to the game: customization. I already know I’ll enjoy putting in the hours to level up and spec out my soldier to fit my exact play style. Battlefield has it all now! 10 years! 10 long years of waiting for a new main title in the Devil May Cry series. The new trailer at Gamescom has given us everything we’ve ever wanted and more. Dante is BACK, followed by Nero in his prime. We get just a quick showing of new weapons, interchangeable Devil Breakers, taunting in the air and shooting while dodging, but it has my mouth watering! I absolutely loved From Software’s Tenchu Z on Xbox 360 and I’m pumped to give their latest game, Sekiro: Shadows Die Twice, my full attention this coming March. The familiar but upgraded assassination animation shown off in their Gamescom 2018 trailer seriously makes me want to dust off my old console and roll across the rooftops of feudal Japan tonight! World War Z is looking like a great mixture of all my favorite zombie shooter experiences. Dynamic zombie hordes, open levels and multiplayer have it so I may never have the same experience twice! It’ll be fun to hop into a lobby with friends, come up with some crazy strategies and battle the hordes until the sun comes up. Paradox Interactive is bringing my all-time favorite grand strategy game to PS4 and Xbox One, so naturally I’m wildly excited. I’m ready to develop planets, coordinate naval space fleets, plan invasion forces, engage in aggressive diplomacy, form the occasional trade pact and make dangerous scientific breakthroughs, all from the comfort of my couch. It will be really interesting to see how Stellaris plays out on a controller. NEW YORK, May 1, 2018 – As the NBA 2K League makes its debut today, it has announced a new multiyear partnership that will make Scuf Gaming, the innovator and creator of high-performance gaming controllers, the Official Gaming Controller of the NBA 2K League. The NBA 2K League, the professional esports league co-founded by the NBA and Take-Two Interactive Software, Inc., tips off today with 17 teams competing in the inaugural season. 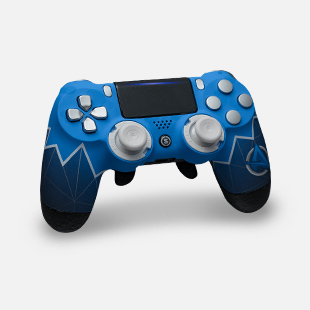 During the NBA 2K League’s first season, Scuf Gaming controllers will be available for use by the best NBA 2K players in the world as they compete during the 17-week season which runs from May to August and includes weekly matchups, three in-season tournaments, playoffs, and the NBA 2K League Finals. 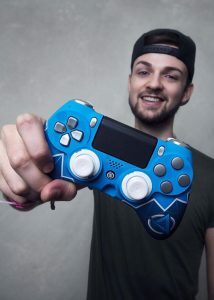 “Scuf Gaming’s handcrafted controllers are fully customizable and will allow our players to personalize key areas of design and function to match their styles,” said Brendan Donohue, Managing Director, NBA 2K League. The partnership will also include a merchandising component, giving fans of the NBA 2K League the chance to game with the same official NBA 2K League controllers that will be used in competition. 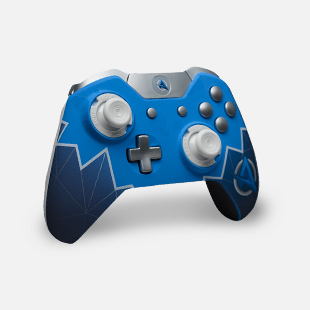 SCUF controllers can make a significant impact when playing competitively. There are several functional areas of a SCUF that can improve gameplay, including the configurable paddle control system on the back of the controller which allows players to use more of their hand simultaneously, resulting in faster passes, more steals, and better shots. All NBA 2K League games will be available live on Twitch at twitch.tv/nba2kleague. For more information about the NBA 2K League, visit NBA2KLeague.com. Scuf Gaming®, the innovator and creator of high-performance gaming controllers, provides superior accessories and customized gaming controllers for console and PC that are used by top professional gamers as well as casual gamers. Built to specification, SCUF controllers offer a number of functional and design features custom built to increase hand use and improve gameplay. SCUF controller features are covered by 36 granted patents, and another 69 pending, protecting three key areas of a controller: the back control functions and handles, the trigger control mechanisms, and the thumbstick control area. Are you still looking for the right loadout when you log into Call of Duty: WWII? Are you unable to pick the division that defines you as an online warrior? The fine folks at Sony have heard your cries, and developed a video detailing their favorite loadouts for CoD: WWII Multiplayer! More than just some helpful advice, Sony’s made a point of delivering an option for each division choice, ensuring that no one is left out. Of course, these won’t cover every single player’s tastes, but it’s a terrific place to start, particularly if you’re just getting into CoD. From the Jack Of All Trades Infantryman to the Tactical Insertion Sniper, these loadouts offer up some great food for thought when it comes to getting the most out of your online experience. Take a look at the video below: do any of these samples feel familiar to you? Or have you found the perfect setup for your soldier already? 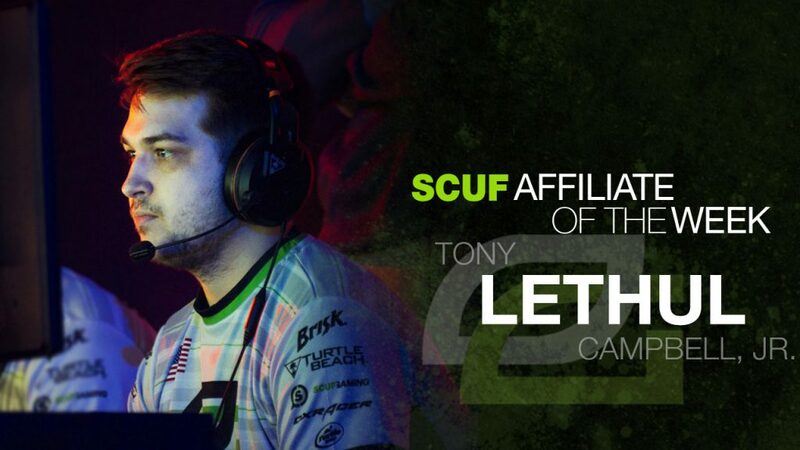 This week’s affiliate profile takes a look at a legend of modern Halo in Tony ‘Lethul’ Campbell Jr.
Lethul made his major event debut towards the end of the Halo 3 era, playing at MLG Columbus in 2010. It wasn’t a spectacular first outing, but at the start of the Halo Reach season just months later, Lethul would be launched into the spotlight for the new game, winning the MLG Washington D.C. Combine and following up with a win in the MLG Dallas Halo Reach exhibition tournament. When the MLG circuit for Reach got going the following year, Lethul remained at the top, with finals appearances at MLG Dallas and MLG Orlando, and victory at MLG Raleigh as highlights of the season. Lethul remained among the elite for the whole of Reach and through Halo 4, but it was on Halo 2: Anniversary Edition that he would really stamp his authority on the game. Playing under Evil Geniuses, Lethal would dominate for the entirety of the H2A season, winning the majority of the tournaments he attended, including both seasons of the Halo Championship Series. From the release of H2A to present, Lethul has been the most successful player in Halo, consistently winning trophies for the past three years. 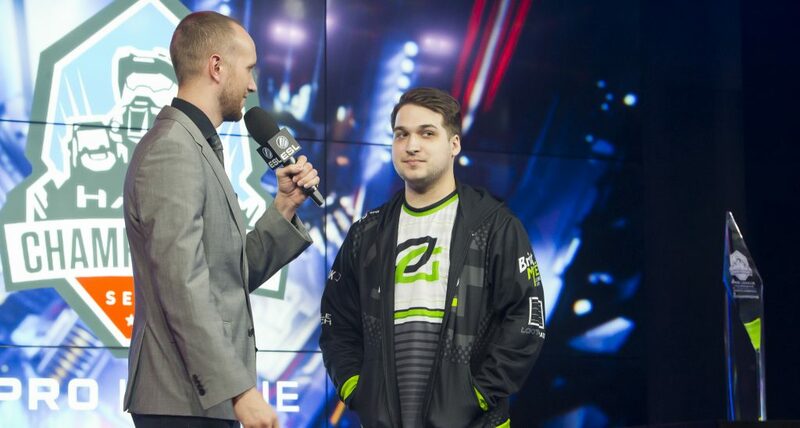 Lethul currently represents OpTic Gaming as the most dominant and successful force in Halo 5. 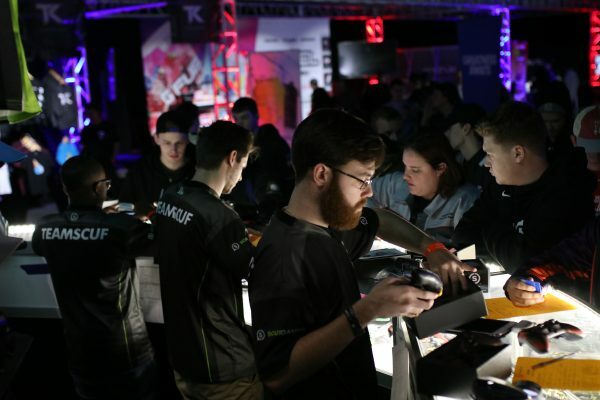 The squad originally came together at the game’s release under Counter Logic Gaming, before moving to the green wall in the summer of 2016. Alongside Paul ‘SnakeBite’ Duarte, Matthew ‘Royal2’ Fiorante and Bradley ‘Frosty’ Bergstrom, Lethul has been a part of creating a dynasty which has so far spanned the entirety of Halo 5’s lifespan. Since the game’s release, Lethul and co have been the most successful team in the world, and it’s not close. The squad has been a permanent feature of grand finals and won the majority of them. There is almost no accolade that the team hasn’t collected over the near two years of their rule. When success comes as consistently as it has for Lethul over the past three years, that in itself begins to eclipse any single moment. Many teams and players can win titles, almost none will ever experience anything close to the level of continued dominance Lethul has imposed upon the game. Within such immense success, however, there are particular accomplishments that stand out even among the rest. In any game, for those that can claim it, the title of “World Champion” is usually the pinnacle achievement of a career. In Halo, there are only four players that can make such a claim, and Lethul is among them. That’s not simply because there has only been one such event – there have been two since the Halo World Championships’ inception in 2016. Lethul and his team claimed victory at both. Lethul has long been a really solid team player. Many would categorize him as something of a “glue guy,” if you will to put it into a more traditional sports term. He’s constantly in good spots and shooting things to make things easier for his teammates. He’s a team first kind of player who has no problem dying if it means his teammates will get 2 or 3 kills or secure the objective. This unselfish play and ability to bring a team together has seen Lethul help his team to countless Major titles, including two World Championships. Publicly, Lethul is known as something of a troll. Not one to shy away from the jokes, he’s embraced the extra publicity that comes part and parcel with representing OpTic Gaming. His unveiling as a member of OpTic was also iconic, teaming up with owner H3cz as part of a shock reveal at the end of an episode of OpTic Vision. This week’s profile takes a look at one of the most legendary and successful players in Call of Duty history, Patrick ‘Aches’ Price. Among the more veteran players on the circuit, Aches broke into the upper echelons of competition during the Modern Warfare 2 season. Along with Tyler ‘TeePee’ Polchow, with whom he would go on to have a legendary partnership, Aches’s LeveraGe squad placed second at the MLG National Championship in 2010, his first major LAN appearance. The following season, LeveraGe would maintain their place at the top, adding Seth ‘Scump’ Abner, who made his LAN debut with the team. MLG Dallas was the first event on the newly-expanded MLG Pro Circuit for Call of Duty, and LeveraGe took it by storm. It was the first of very many to come for Aches, and kicked off a pattern of success for him at the first event of each year. LeveraGe would win one more title during the Black Ops season, making them one of the most successful teams of the year, matched only by OpTic Gaming’s two victories. Unfortunately, the diminished opportunities on Modern Warfare 3 meant Aches only competed once on LAN the following season, at EGL 8, where he placed 7th-8th. The following year would see the arrival of Black Ops 2, however, and it was during this season that Aches would build his squad under compLexity. It took a few months to settle on the formula for success, but when the team added James ‘Clayster’ Eubanks they became something unlike anything else Call of Duty had ever seen. The team went on a run that to this day is somewhat unparalleled, ultimately winning thirteen of the eighteen events that the core three competed at and at their peak hitting a level that remains, in the eyes of many, unmatched. By his role in one of the greatest teams of all time, regardless of what Aches’s future holds he has already carved out a massive and permanent place for himself in Call of Duty history. Unfortunately, the advanced movement era of the last three years hasn’t seen Aches frequently on top, with his last LAN victory coming at MLG Columbus in 2014, the first event of the Advanced Warfare season. Rather than being surrounded by the best players in the world, Infinite Warfare in particular saw Aches at the head of a team of young talents, the veteran leader guiding the raw talent of rising stars. His Cloud9 squads certainly made an impact at times, but for the coming season Aches has opted for a change of direction once again. Ahead of Call of Duty: WWII, Aches finds himself back under Evil Geniuses, the organisation under whom his reign of dominance originally ended. The new squad is stacked with veteran players, featuring another World Champion in Bryan ‘Apathy’ Zhelyazkov, Anthony ‘Nameless’ Wheeler and Ian ‘Enable’ Wyatt. It’s a team built around not just talent, but experience – both generally as professional players and specifically in boots-on-the-ground titles – and a shared mindset. 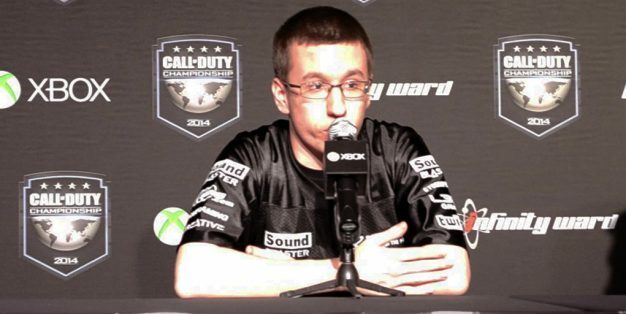 Aches himself is at the center of the squad, already publicly announced as the primary leader for the team. 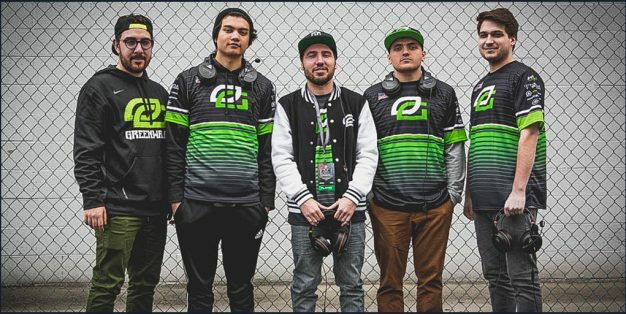 In the coming season, OpTic Gaming will once again be the team to beat. Given his history in boots-on-the-ground titles and specifically as a rival to the green wall, Aches surrounded by veterans who are buying into his leadership might well prove a formula capable of toppling today’s titans. For anyone who can claim it, becoming a Call of Duty World Champion is usually a career highlight. This is as true for Aches as anyone else, but when Aches earnt his ring he did so as part of one of the greatest and most dominant teams of all time. 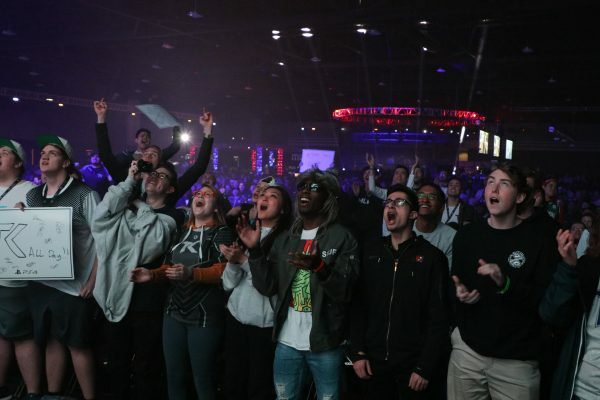 Excluding the US Regional Qualifier, which didn’t offer any prize except qualification and seeding for the Call of Duty Championships, when Aches entered the main event he had claimed the trophy at the preceding five tournaments. The rule of compLexity over Call of Duty was absolute. The Call of Duty Championships itself saw compLexity claim the most dominant victory that the event has ever seen. Throughout the entire event, the team lost only four maps in total, dominating the group stage and then walking their way to what felt like an inevitable trophy. Not only is the Call of Duty Championships the biggest and most prestigious event Aches has won during his incredibly decorated career, it also represents the very peak of his dominance over the game, a level few if any teams have ever replicated. At that moment, compLexity was producing a peak of play that even the legendary OpTic Gaming, whose total trophy count now eclipses that of compLexity, have failed to truly replicate. As part of compLexity, Aches helped to create a magic that may never be matched, and that legacy will last as long as Call of Duty itself. During his individual peak, which somewhat unsurprisingly coincided with prime compLexity, Aches was one of the most dangerous players in the world. 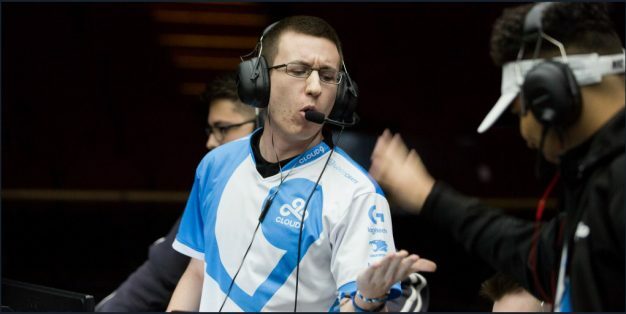 Usually found with an SMG in hand, Aches was capable of putting up huge performances, at times taking over games single-handedly. That he was one of the star players of one of the most successful teams of all time should say plenty about his skill level at that time. In recent years his blistering performances have become a little more uncommon, although still showed up occasionally while playing for Cloud9 this past season. Instead, Aches has typically played a more supportive role during the advanced movement era, relinquishing the role of the star often to younger talents. 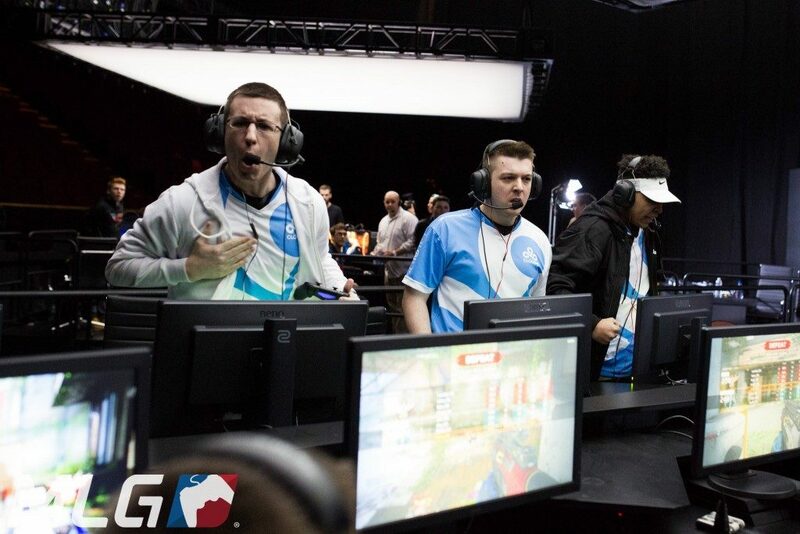 Aches’s impact in-game has instead been perhaps most notable in his ability to guide his team-mates. Aches is one of the most accomplished leaders in Call of Duty history, and he has been able to use that experience to elevate teams of comparatively inexperienced players. Come WWII, Aches will once again be in a position of leadership, and that alone is enough to make him valuable to a team. With the franchise returning to boots-on-the-ground combat, however, it’s within the realm of possibility that Aches could once again begin to unlock that star player of old. Throughout his time as a professional player, Aches’s presence outside the game has been almost as great as within it. 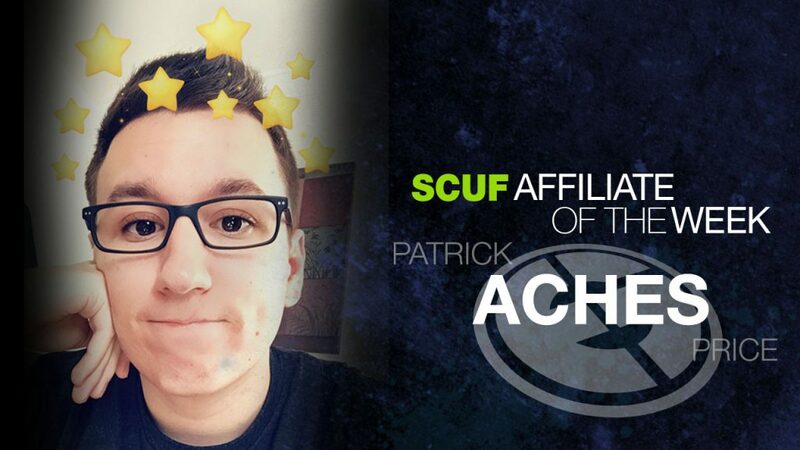 Aches had never been afraid to speak his mind, never held his tongue for the sake of popularity or avoiding controversy. In that regard, Aches is perhaps one of the most important players in Call of Duty. He will never be the most beloved player in the world, but in his willingness to set himself against some of the most popular teams in the world, and his talent in defeating them, Aches has often provided the other half necessary for a great story – a worthy villain. A world without Aches would be noticeably bland by comparison. While fans might not always appreciate Aches’s outspoken nature, especially when it manifests as criticism of a popular team, it also means that Aches has often been happy to raise controversial issues. 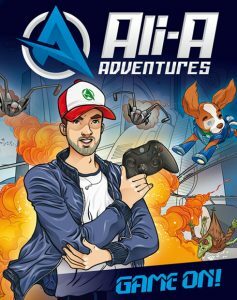 When faced with issues in the game or the competitive circuit, he has never shied away from addressing them, and in doing so has at times forced a conversation around topics that might otherwise be ignored. Love him or hate him, there is no doubt that Aches has played a major role in shaping competitive Call of Duty, both within and without the game.